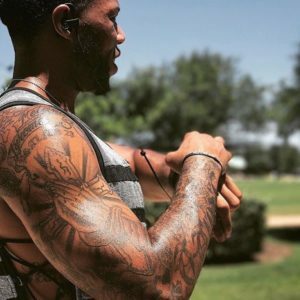 Add the Hyper Vest PRO to your bodyweight training, weight lifting or endurance workouts to take your performance to the next level. 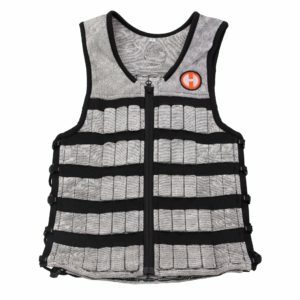 The Hyper Vest PRO’s patented design allows you to easily add weight to your vest as you progress so you can customize it to your exact needs. 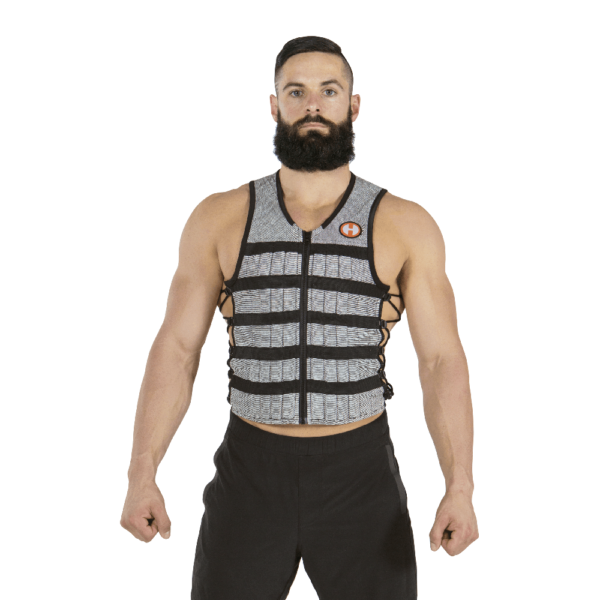 Its flexible and adjustable fit won’t interfere with even the most vigorous training, unlike other more bulky weighted vests that limit your movement. Train with Hyperwear weighted vests for osteoporosis, to improve sports performance, build strength, speed and athleticism, or rehab an injury. 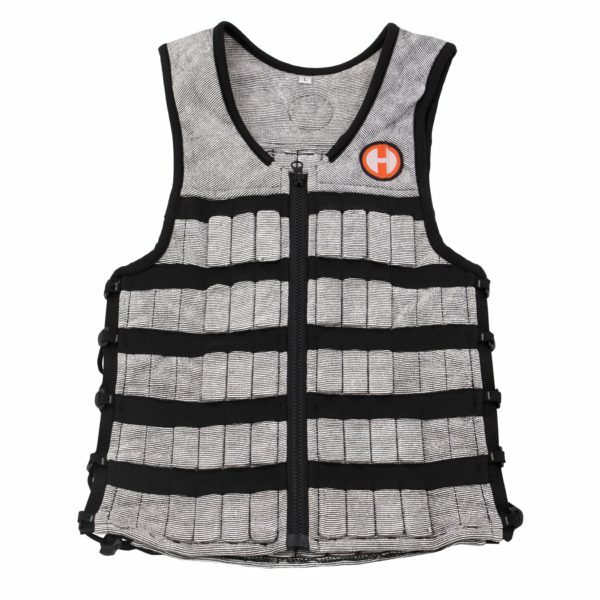 The Hyper Vest PRO weighted vest is nothing less than revolutionary. Its innovative design features a unique fabric control system that hugs the body for an extremely comfortable fit, but does not restrict range of motion. 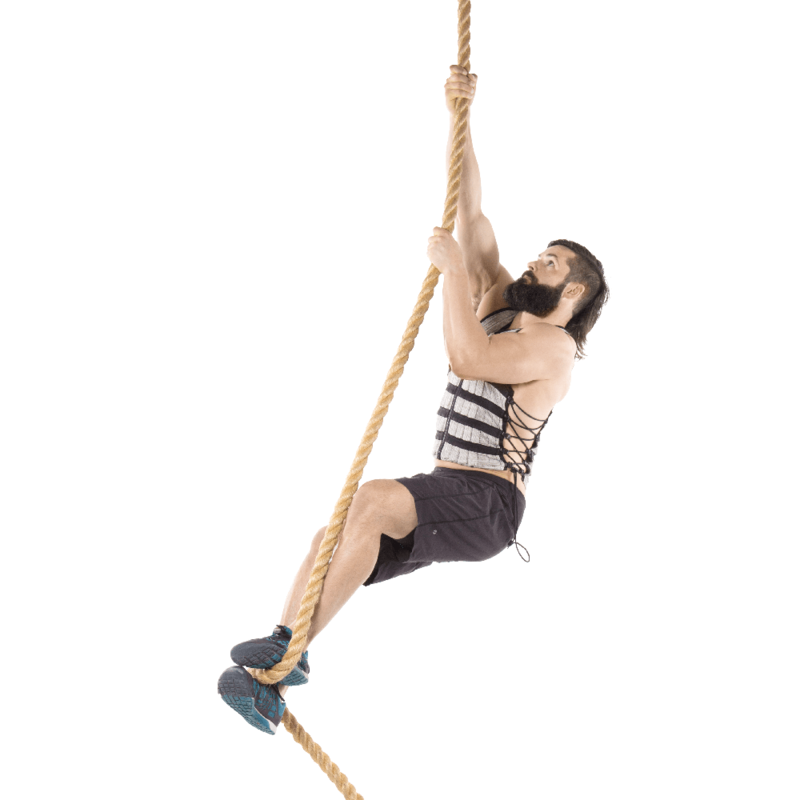 The vest flexes in the horizontal plane but not in the vertical plane, allowing for full chest expansion for breathing while keeping the weights in place even during vigorous, multi-plane movements. The breathable, odor-resistant, wicking fabric and generous open side panels provide superior ventilation. Highly adjustable side lacing and slim profile allow for exceptional fit and comfort. To determine the best size for your height and weight please view our Sizing Chart. 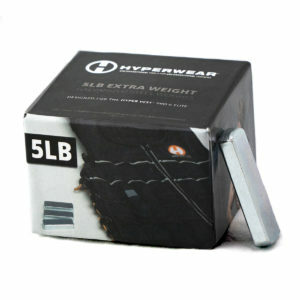 The Hyper Vest PRO ships unloaded/unfilled with 10 lbs of high density steel weights (two 5 lbs boxes, 36 weights per box, 2.25 ounces per weight) and is fully adjustable to a lighter or heavier weight capacity. Additional weight can be purchased separately. 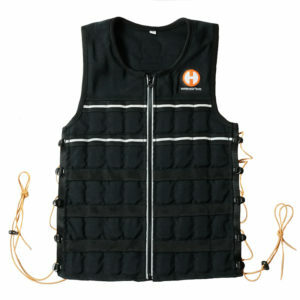 The 1/4″ thick high-density individual steel weights make Hyperwear weighted vests barely detectable under a shirt. Each individual weight bar weighs 2.25oz each and can be easily removed, or additional weights can be added. Check out this instructional video to see it in action. Each pocket can hold up to two weights and weights can be arranged across pockets to customize weight distribution to your liking. For more info check out our FAQ Page. Wash in sink with weights in, towel off, lay flat to dry.